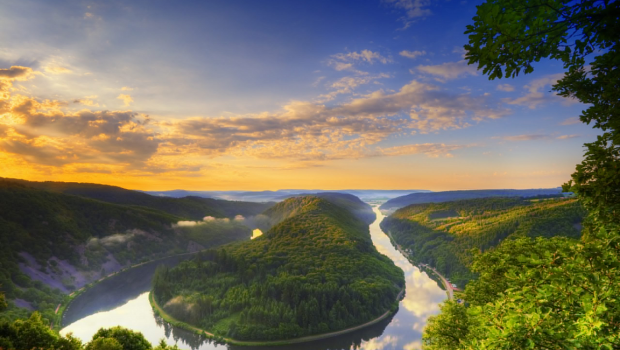 Situated in the west of Germany, Saarland forms part of German border with Luxemburg and France. Very literal to its name, the state is within the territory of the Saar river basin. Due to its rich coal deposits, Saarland has been industrialized heavily from the 18th century. Now, it is often written off as a remote post-industrial periphery. Apart from this, the state has several wonders to behold and has an interesting heritage with its location at the European crossroads making it a worthwhile stop on your vacation trip. Saarland is the second largest state regarding the population just ahead of the Free City of Bremen. The Saarland is surrounded by Rhineland-Palatinate within Germany. Historically speaking, Saarland as a place had not existed till around the 20th century. Some settlements like the Saarlouis and Saarbrücken have been there for centuries. Besides, Saarbrücken goes way back to the ancient Roman Empire. Today’s territory of Saarland has got influenced by various small kingdoms that belonged to Germany and French as well as the Duchies. Under the general guidance of the League of Nations in the year 1920, was the Treaty of Versailles, which had ended the World War I, created Unified Saarland. It was named as the ‘Territory of the Saar Basin’ and it was administered by the French officials. Also, a planned referendum was laid down according to which more than 90% of the local population decided to join Germany in the year 1935. After the Second World War, a sovereign state, known as the “Saar Protectorate” was set up between the years 1945-1957 under the control of the victorious French. At this time the protectorate had once again voted to return to Germany and became its federal state. As a result of Saar’s early industrialization even today, it retains various “classic” industries apart from the steel production such as the automotive components and ceramics. Saarland is also one of the important hubs for software development. It is not just a place which makes cars, but in fact is one the places with most cars per capita in the whole of Germany. An area of thickly forested hills is situated in the heart of Saarland, which crosses from the southeast to the northwest by the Saar River valley. The edge of the Hunsruck Highland is formed towards the north and to the south is the scarps of the French region called Lorraine. The state has its highest point in the Weiskircher Heights with a height of 2,280 feet which is almost 695 meters high. The Prims and small Blues rivers flow into the Saar River. The climate here is mostly continental with some maritime influence which is seen in the Saarland’s moderately warm summers along with mild winters. An annual precipitation of 31 inches which is about 80 mm is recorded. Valley of the Saar River has extensive coal deposits which are spread over a distance of about 32 km from the Volklingen and Saarlouis towards the west to Neunkirchen in the east. The coal deposits are found at depths of up to 1,200 meters or 4,000 feet. Since the 19th century, the extraction of coal from the bituminous coal along with the smelting of iron ore which is rich in phosphorous have bases set up here and has helped in assisting the growth of the iron industries. Various iron and metal processing industries here include the production of steel along with the various construction autos, machinery, and even auto components. Manufacturing of textiles and food processing are other important industries located here. Just like the other iron and metal processing places and coal mining states of Germany, even Saarland is making efforts to diversify its economic base. The place has insignificant agriculture. Some of the major produce include dairy products, grains, vegetables, livestock, potatoes, fruits, and vegetables. Small portions of the diary produce are exported to other states. Also usually meat, bread, and cattle are sold abroad. Mostly the production here is oriented towards the requirements of the Saarland’s urban population. The earliest known inhabitants of this area were the Celts and German Franks, who eventually became part of the Carolingian empire along with the eastern Frankish empire. Saar, during the period of Middle Ages, consisted of various small territories and the largest among those was centered on the city of Saarbrücken. Counts of Nassau-Saarbrucken ruled Saarbrücken from 1381 to 1793. Under the Truce of Regensburg in the year 1684, Saar had become one of the provinces of the French. In the year 1648, however, France was forced to give up all of the Saar except the Saar-Louis town as per the Treaty of Rijswijk. Even though the territory near Saarbrucken was inhabited by the German speaking people, it was mostly under the influence of the French during the 150 years following the Peace of Westphalia in the year 1648. France again had the control of Saar from 1792 to 1815 along with the entire west bank of the Rhine. However, with the defeat of Napoleon I in the year 1815, France was made to cede most of the Saar region to Prussia and this area was made part of the Prussian Rhine province. Saar ceased to be a boundary state in the year 1871 when Alsace-Lorraine was added to the empire of Germany. At this time rapid industrial development had begun based on the coal deposits and the iron-ore deposits of Lorraine. Saar’s coal mine after the World War I was given to France with Saarland being placed under the League of Nations administration for about 15 years. By the end of this period, a plebiscite permitted gave the inhabitants an option to choose between being a part of Germany or France. More than 90 percent of the residents of the Saar region cast their vote in favor of returning to Germany during the plebiscite which was held on January 13, 1935. Following the Second World War in the year 1945, the French military forces had occupied Saarland and after two years the first Saar parliaments came up with a constitution which demanded an autonomous Saar in an economic union with France. By the year 1954, the renewed prosperity of West Germany attracted sympathies of most of the Saarlanders and during that year France along with the Federal Republic of Germany settled on a statute that provided for Saar’s autonomy under one of the European commissioners. This new status had to be approved by a referendum. However, almost 68 percent of the Saar’s voters rejected the statue which meant they rejected the separation of Saar from Germany. The French eventually in the year 1956 agreed with the return of Saar to the West Germany. And finally on January 1, 1957, Saarland achieved the present status as a federal state of the country Germany. There are a lot of French influence in the form of various delicacies like the cured veal cheeks along with fried goose liver, slices of turbot which is served stuffed with shrimp and also the coq au vin which is a capon-chicken cooked in delicious wine. Indeed Saarland is one of the must visit places for you. 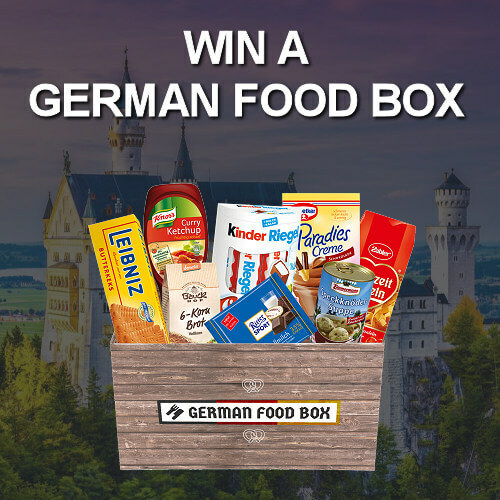 Make it a definite stop while you are in Germany for your next holiday!